Extending your property does not also maximise the amount of room within your house, it also adds considerable value to your home for when you’re looking to up and sell. Home extensions can be used for many reasons, even just to improve your home, but what are some of the best property extension ideas for your home? Keep reading to find out! Will All Property Extension Ideas Suit My Home? Not necessarily, all homes are different and have a different style to them. We will be including a variety of different styles that suit everyone’s property so that there is something for everyone. When extending your home, you must be sure of the company you’re going to use; there are a lot of cowboy builders roaming around these days so you must be careful who you choose as it isn’t always obvious. Do your research of the company you’re using, and if they fail to provide any testimonials or previous work then the likelihood is that they cannot be trusted, make sure to use trusted builders in Milton Keynes for reliable, punctual work. So how can you extend your home, and what design should you go for depending on your home and the amount of space you have available to you? Find out! Not commonly used but they are fast and efficient to convert, basements and cellars are typically very rare. But they’re so useful it’s strange how people don’t build them more frequently. It’s now estimated that only 2% of all of the homes in the UK features a basement! So they’re perfect for someone who wants to bring originality to their home, simply by adding a basement to your home you can receive up to 50% more floor area without taking any space of your garden up or increasing the size of your basement. Basements are energy efficient; the building can retain it’s temperature and not heat up or cool down too fast. It’s said that a house that includes a basement extension can be up to 12% more thermally efficient than a home built entirely above the ground. They’re also multi-purpose and can be used as you wish, an extra bedroom, a playroom, a games room or living room – and if your husband insists then even a man cave! The possibilities are endless which is what makes them such an excellent addition to your home. Conservatories are one of the most common methods used to add extra space onto people’s homes; they are perfect for relaxing in the late afternoons in summer or can even be used as a play room for younger children. If you’re a fan of horticulture then building a conservatory could allow you to enjoy your passion without having to step foot outside your home, conservatories were originally designed to grow oranges and plants so why not start an indoor garden? Depending on the size and design of your home you may be open for more conservatory designs. For a modern contemporary home, a lean to conservatory can be the perfect addition that not only adds space but adds style. They’re best suited for small homes by making the most out of a limited amount of space; they can be utilised as a playroom, a new kitchen or a dining room. For an older home, you are better off with either an Edwardian or Georgian conservatory to add to your traditional timely portrayal. These conservatories both maximise sunlight and floor space for the perfect extra room to your home, you can also choose from decorative glass or standard to personalise your conservatory. Garage conversions are ideal for maximising space with what you already have, why not sort through all your junk collecting dust in your garage and convert into extra living space. Most people use their garage to be transformed into an office or what people like to call “a man cave”. Man caves and offices are usually converted from the garage as it is one of the most cost effective and simplest ways to extend your home. Garage conversions can also be used to extend extra living space if needed; they also give you an excuse to clean out and de-clutter your home. As opposed to extending your home for extra living space – which can take months, a garage conversion can be completed within weeks when carried out by our builders in Newport Pagnell. This home extension can be used on a variety of homes. However, it is mainly used in homes with a limited amount of space available to them and typically for modern contemporary styled homes. Not only does a home extension for the top of your home add extra space but it looks lovely and is one of the most favoured forms of home extension. However, in saying this, you do not necessarily have to build a whole new room on top of your already existing ones, another efficient form of home extension is a loft conversion Milton Keynes. Loft conversions are one of the most cost-effective methods to add value on to your residence, and for most of them, you don’t need planning permission. But if you want a brand new larger room then opt for building on top of that already exists, you can alter these rooms and personalise them to let more light in, etc. So they’re ideal for people who love personalisation. So with all these home extension ideas, which would suit you, your property and your family the best? Depending on the design and styling of your home and where it’s situated can sometimes decide the outcome of the type of home extension you choose. 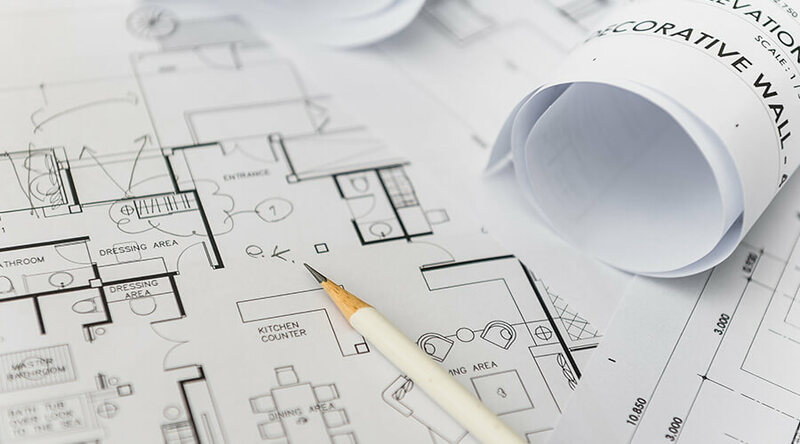 With homes based in the country on their land it’s a lot simpler as they do not need planning permission, but in a neighbourhood, your neighbours may object, and it may take you slightly longer to receive planning permission for some home extensions. However, with extensions such as loft conversions, you do not need planning permission, and they take a matter of weeks, so you are spoiled for choice. We hope this article was informative, and you are successful on your hunt for the perfect home extension – check out our services while you’re at it, or contact us for a free quote using our contact form!